President Donald Trump praised government-funded universal health care Thursday just hours after Republicans in Congress passed an Obamacare replacement bill. 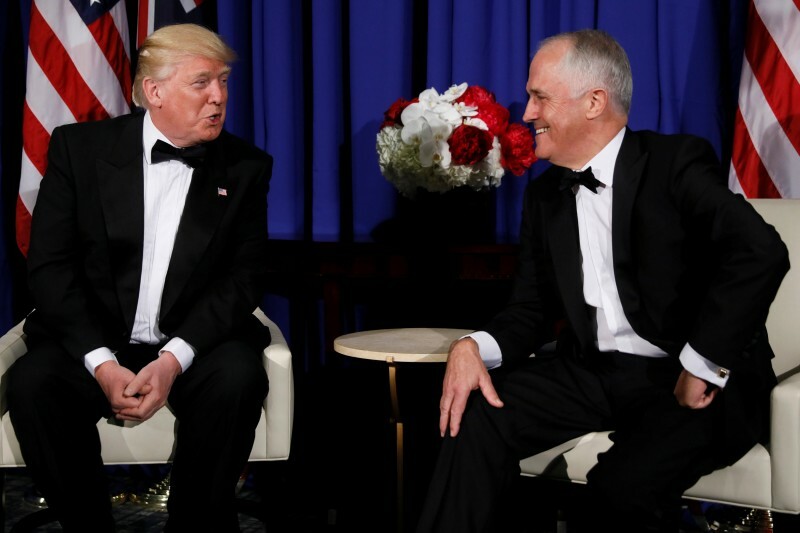 The president was in New York with Turnbull to commemorate the 75th anniversary of the Battle of the Coral Sea. The visit to his hometown came hours after he celebrated the passage of a healthcare bill in the Rose Garden. Australia has government-funded universal health care, and the legislation Trump praised earlier in the day would work to remove the government’s role in health care. Sen. Bernie Sanders, who advocates for single-payer health care, reacted to Trump’s comments with laughter. “Thank you, Mr. President. Let us move to a Medicaid-for-all system that does what all other major countries do and guarantee health care to all at a fraction of the cost per capita that we spend,” Sanders added.